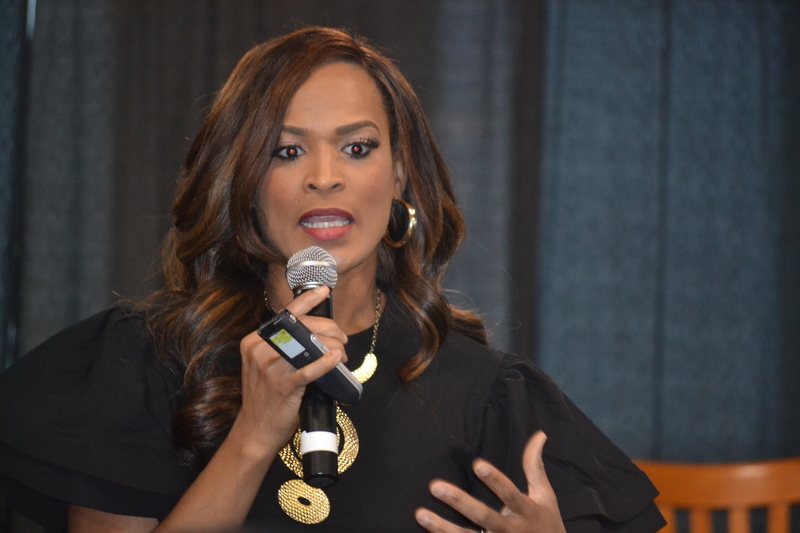 If you had the opportunity to attend the 2016 Business Wealth Summit with Yakinea Marie, Aprille Franks-Hunt, and Zenobia Andrews, you did not leave disappointed. If you missed it, I just hope they do a repeat sometime in the very near future or at least annually (anywhere in the country). 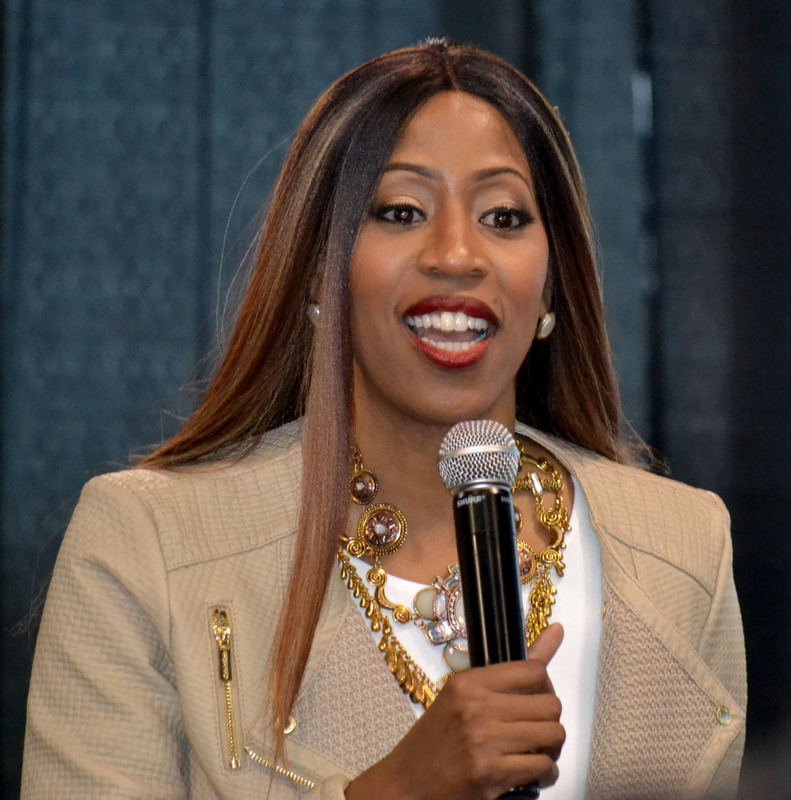 Yakinea Marie, Founder of the I Am Woman Network, co-hosted the event with Aprille Franks-Hunt, Founder of the highly popular, Coach, Speak and Serve and finally Zenobia Andrews, Co-Founder (with her husband, Anthony) of the Max Out Group. The event host was Melva Tate of Tate and Associates and official photographer was Antonia Boswell of AB Photography. Yakinea gave the audience signed, sealed & delivered strategies to successful partnerships for which Yakinea Marie is a master. Her first bit of advice is to “Partner with yourself.” She says that you have to decide that you are all the way in the game and that you won’t give up and quit. An essential key to partnering with yourself first is you have to “Be the type of partner that you want to partner with.” Bam! There it is. It seems to crystal clear. If you become that type of partner, you will attract that type of partnership with others. When asked what was a defining moment for her, Yakinea was very clear about it. It was the moment she said “yes.” She said yes to herself. She said yes to believing in herself, what she wanted, wanted to do and she believe in her ability to do it. Say “yes” to yourself and you are on your way. 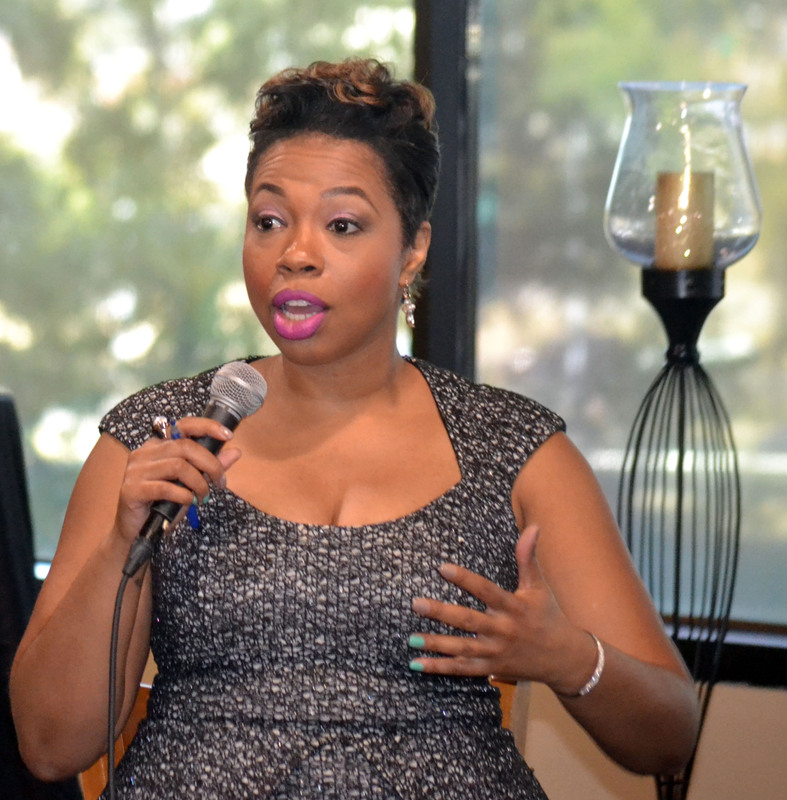 Yakinea believes that everyone or every business is not your potential partner. You have to complement one another and not be in competition with one another. You have to be selective about who you partner with. If it doesn’t work for you, then it won’t work. Both parties must benefit from the partnership. You can’t partner with everyone that wants to partner with you. Aprille excelled in delivering key strategies for successfully building your brand through social media engagement and follow-up (including automated systems). To prove how important and effect follow-up is, Aprille gave us all access to her PowerPoint presentation within minutes. She had the audience text our email addresses to a given number and within minutes, we had her presentation in our email in boxes. Systems, systems, systems. But equally important, says Aprille, is giving. Aprille says “Give, give, give, give. Always be doing promotions. Always be giving products.” You’ve heard it before, the more you give the more you receive. Well,Aprille is living proof that it works. A surprising takeaway from Aprille was “it’s important to build your business before your brand.” She says it’s not about all the pretty pictures, signs, logos. She says that comes later. In essence, you build the business and the brand is the birthing of the building that you’ve built. What the business has become known for IS the BRAND. When asked about her feelings on wealth, Aprille says that wealth is “Something that words in harmony with her whole life.” That was a wow moment for me. When it all comes together, that’s wealth. Here are some key points to a winning strategy according to Zenobia: You have to know who your idea client is. Everything starts with lead generation: how you attract your client. She says you have to give them something of value and in exchange, you get what you consider valuable and it’s not always money. Here’s a little tip from Z, your list, if it’s not at 5000, then you need to start trying to reach that goal. The audience, including myself, seem to be hanging on to every word so as not to miss a thing. The speakers were very generous with the information that dispensed. Although we had permission to snap photos of their slides, we still had to keep notes of the really juices contents (the extra goods) provided during their talks. This is just some of what we got. I could go on and on but just like they couldn’t give it all up in a day, I can’t get it all in one blog post. The only thing I regret is that I did not attend the Mastermind Session on Day 1.